This publication has been postponed by the publisher and is due in August 2010. Lewis Baltz is best known as a landscape photographer of the New Topographic movement of the late 1970s. 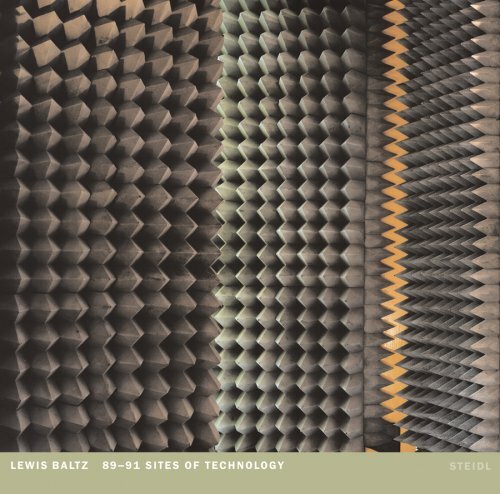 But 89-91 follows Baltz indoors, into European and Japanese workplaces in the early 1990s, as he checks on the spread of the information technology that has now come to alter our interiors as inexorably as development has our environment. His concern is not with technology, per se, but with its epiphenomena, 'the sense that it proliferates, that it's everywhere in society, I think that will yet further detach people from whatever nineteenth-century idea they had about reality, the phenomenal world and their relation to it and in it.' What are the places and non-places shared by persons and machines? How are we changed by them? Baltz's work has been shown at venues all over the world, including recent solo exhibitions the Museum of Contemporary Art, Los Angeles, and New York's P.S. 1. It is in the collections of The Metropolitan Museum of Art, The Museum of Modern Art, and the Whitney Museum of American Art in New York. His previous publications include The New Industrial Parks, San Quentin Point, Candlestick Point, Rule without Exception, Deaths in Newport, Politics of Bacteria, Docile Bodies and Ronde de Nuit.